ashlee nicole spills | blog: Kate Moss x Hellz Bellz. Good Girl Gone Baddest tee. 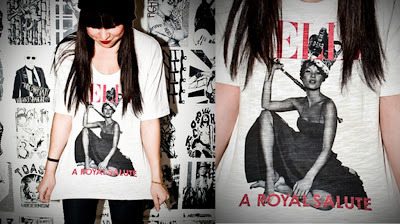 Two new online releases from Hellz Bellz. 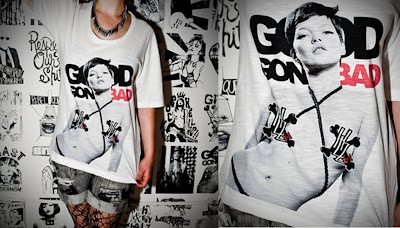 The “Royalty” tee features a young Kate Moss, and the “Good Gone Baddest” tee features a more provocative Kate. Kinda like outer vs inner. Love, love, LOVE em. Both are ill.